Lexington features two large maternity fairs for expecting parents. Offered each spring, the St. Joseph Maternity Fair and the Baptist Health Expecting Great Things Event are both wonderful ways to connect with local baby businesses and get great information. Sunday, April 22, 2018 1:00 p.m. – 4:00 p.m.
Mark your calendar for the 2018 Maternity Event. In 2018, we are planning to continue the tradition of having the premier maternity event of the year with new updates and a new location. We will still feature all pediatricians and obstetricians who want to participate, with a new focus on social media to share the message of how great it is to be #BornatBaptist. We will provide a card to all participants that they will have stamped at each booth in order to be eligible to win prizes. We then plan to draw for prizes by having them post their photo to social media or enter the card to win. They will not have to be present to win, and that will increase their satisfaction with their experience in addition to assuring all our services are featured. We will have refreshments and provide a welcoming experience. It will be free admission. WHO: Members of the public who are considering having a baby, expectant moms and their family members. WHAT: Opportunities to meet our pediatricians, obstetricians, staff members of Baptist Health Lexington. WHY: To educate members of the public about our outstanding maternity care providers and services. 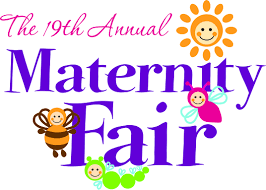 Join us for the 19th Annual Maternity Fair – presented by the Women’s Hospital Saint Joseph East! Registration will begin April 2nd. Physician panels will be ongoing throughout the day. Physicians will take questions and speak on a number of topics. Please check back soon to see a listing of panelists! If you are interested in becoming a vendor or sponsor, please contact Angela Florek.